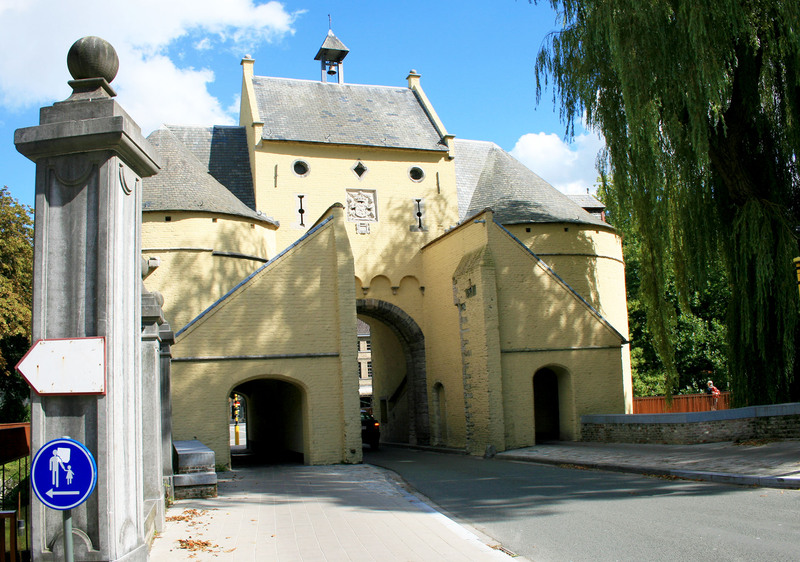 The first Smedenpoort dates from 1297 to 1299. The current gate was built on the remains of the old one in 1367. Throughout the centuries, the gate has undergone many changes. The bronze skull (I missed that!) of the left passage recalls the execution of Francois Vander Straeten, who wanted to let hostile French troops into the city at the end of the 1600’s. The severed head of this traitor was fixed to the gate.